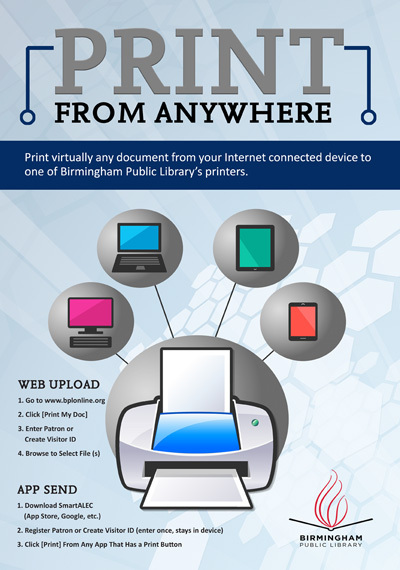 Birmingham Public Library offers wireless printing through SmartALEC. This service allows users to print from any computer or mobile device. Anyone wishing to print wirelessly will first need to set up a SmartALEC account. You will not be able to set up a SmartALEC account through the mobile app.